Home Tags Posts tagged with "furniture"
When you have some free time and you want to kick back and relax in the comfort of your home, there’s no better spot to do that than in a zero gravity recliner chair. The design of these gorgeous pieces of art makes them one of the coziest and most popular furniture pieces for both indoor and outdoor settings. The zero gravity position helps relieve your body from stress and pain and offers a variety of other health benefits. Nowadays, it is almost impossible to ignore the beauty of Scandinavian interior designs. You can see them literally everywhere, in magazines, on interior design Instagram profiles and on many other social media websites. Introduced in the 20th century or in 1950 to be exact, Scandinavian design has immediately won the hearts of many in Finland, Norway, Denmark, Sweden and Iceland. And the things that make it so popular is its simplicity, minimalism and functionality, as well as the amazing palette of neutral colours. So, if you are one of those people who feel completely drawn to this look, I’m sure you’d like to know something more on how to recreate it yourself. The warmer temperatures, sunny days and bright blue skies will be soon luring you to spend as much time as possible outside. So, if you have always wished to entertain, eat or lounge out in the open, now is the perfect time to rethink how that area feels and looks like. A small backyard? A few square inches can go a long way. Limited budget? Just use what you already got. No greenery? Absolutely no big deal. Let’s take a look at some easy decorating ideas that can work miracles for any outdoor spot you may have set your sights on for beautifying. You can easily give your space a fresh face by simply sticking to a monochromatic palette and without overdoing it. A good idea is to choose the essential pieces in modern grey and white and pick contemporary furniture such as a wirework round table, a sleek, white umbrella, and minimalist outdoor stools. If you want to add a touch of fun to your outdoor space, throw in some colourful accents. Add some bold cushions in vibrant colours and some modern prints like stripes, ikat, and eye-catching florals. As for the furniture, go with white bar outdoor stools to tone down the cheerful colour scheme. Foot stools are also a great idea to add more comfort and functionality to your space. If you live in the urban jungle and are aiming for a sense of privacy, enclose your outdoor space with a tall wooden fence. Make sure to decide how you want to use this area before making any decorating decisions. For instance, if you plan on using it mostly for entertaining and dining, the grill and the table should be the first key pieces that you arrange around. Add a couple cool outdoor stools to maximise functionality! On the other hand, if you do have some space, re-imagine a room without walls. This way it will be easier for you to create an intimate gathering space that’s all set for entertaining. Picture this – a wicker sofa around your coffee table, a free-standing umbrella and a fire pot. If you are lucky to have an ocean front view, set up your picnic table and go with the nautical theme – blue hydrangeas all around and a fish motif on the linens. In this case, go with benches. They are the perfect choice here because they don’t have any backs to obstruct the gorgeous view. Simply put – formal without any unnecessary fuss. 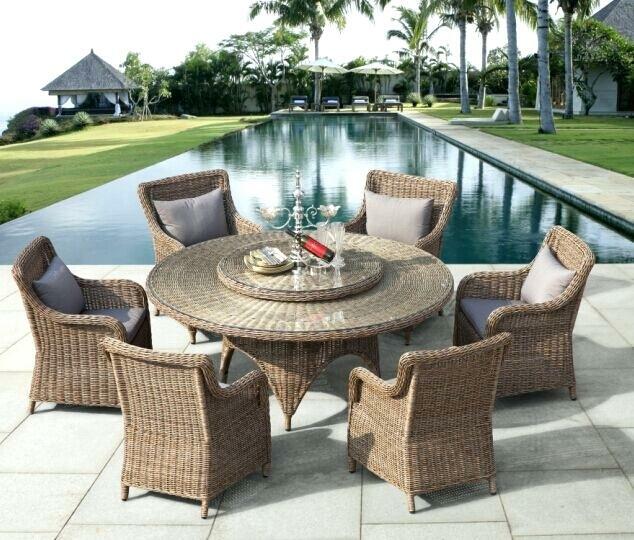 Surround your teak table with wicker chairs to keep a relaxing mood. As for the accessories, nothing more than chicken wire lanterns for an oh-so-easy table décor. The implementation of the ingenious simplicity invented by the Scandinavian countries of Sweden, Denmark and Norway in homes all around the world isn’t even close to coming to an end. It may have morphed in several different ways, but that has only rendered the design that much more adaptable and applicable. If you are yet to hop on this design’s bandwagon, here are some tips on how to implement it right, and if you want to stray away a bit, you can choose to do it relying on one of the currently popular twists. Let’s face it, not all of us greet the New Year with healthy body resolutions. I’m sure I’m not the only one when I say I greeted 2018 with the determination to make changes with my interior. It’s not every day one gets to change the abode, so the fresh year start is also the perfect start for interior décor changes. Nowadays, it seems like the whole world has been seduced by the reducing charm of minimalism – some to a certain extend and some on the brink of a monkish-driven objects starvation. More and more people are leaving the interior design craze behind by turning to the bare necessities alone. In other words, it’s the Ice Age of design and décor. This novelty appeals mostly to people who consider the time spent tidying up time wasted in vain and they usually say “I’d rather spend my money and time on travel instead”. Now, although I am not going to deny the appealing ring of that philosophy, I do believe that taking the time to create a home that oozes with warmth is worthwhile. Yes, there are still those of us who would add a little drama to all those excessively clean lines, and it would be based on a French manuscript. Old-fashioned this mindset might be, but it’s in the old ways where wisdom often lies. Yes, in a world of DJs, some of us still get a kick out of Edit Piaf. Nothing may be the current big thing, but it doesn’t speak the language of history as French provincial style furniture does. In the light of this fact, minimalism, step aside, this is how we create j’adore – something that actually pleases the heart. The French frown to ostentatious finishes which are very often confused with having a fine taste. On the contrary, since French homes are usually on the small side, the owners strive to include gorgeous items that also have a practical use up their sleeves. The undertone of efficiency should be mirrored in every item as to achieve balance. Open shelving is one great example for French double agent tricks. Subtlety and elegance are the pillars of French provincial style furniture and that’s best communicated through colors. White, light blue, taupe, brown and sage are the colours most commonly in play and the rule not to use more than two colours from the same family in one room. However, when it comes to details and décor, the French do embrace vibrant and bold hues, mostly displayed through discreet architectural elements or textile patterns. Nothing speaks the dialects of French provincial as much as gentle weathering… Bypass all that’s not wood and wrought iron and you’ll be on the Oui bandwagon! A few digs and scuffs should not scare away the followers of this style since it must bear the whisper of age. Finally, don’t forget to get a few vases and fill them with flowers with vibrant colours! Open your heart for the petals of mighty roses that will appeal both to eyes and noses. Antique furniture is a living proof of the impeccable craftsmanship throughout history that remains unmatched even with all the technology we have today. Antique pieces have stood the test of time and will continue to do so for many years to come. They are a great way to add some character to your home décor, and with the great variety of styles, shapes, patterns, materials, and colours available on the market, you can certainly find a piece that will quench the thirst for antique beauty of even the pickiest person. 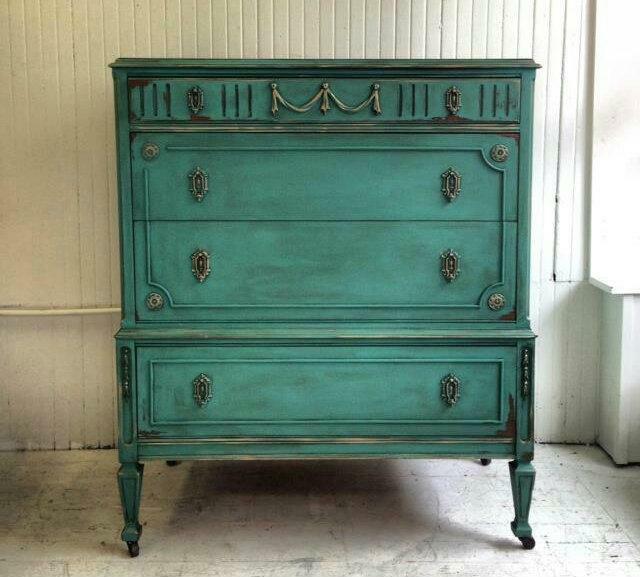 Thanks to the Internet, it has never been easier to shop for antique furniture. American, English, French, Spanish, Dutch, Oriental, you can find all types of antique furniture for sale online. Of course, before you decide on what to purchase, there are a number of factors that you need to consider. 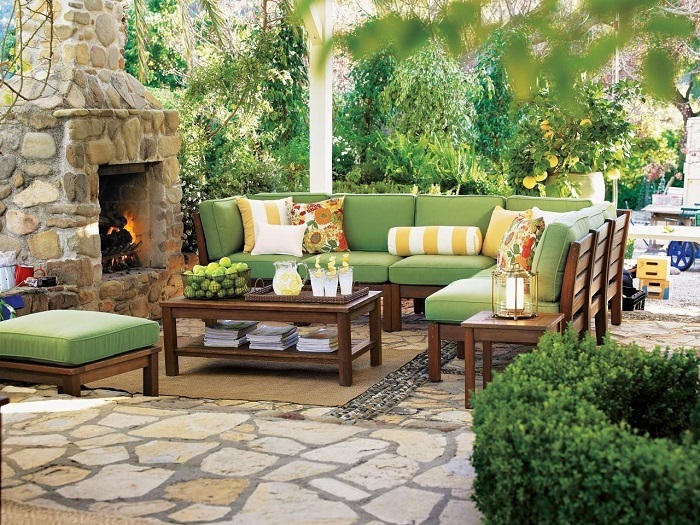 Outdoor spaces are a great way to bring the feeling of your living room to your backyard. There is something about the coziness of a well-decorated room that makes you want to enjoy the moment, and when you combine that feeling with fresh air and the beauty of a nature, it gets even better. Whether you have chosen to buy outdoor furniture that is fine and expensive, or opted for a more affordable yet reliable outdoor set, you probably want it to last for a long time. However, without proper care, no outdoor furniture can resist weather elements, and can easily start showing its age very soon. We offer you few tips to help you make your outdoor set last longer regardless of its type. While wrought iron/steel furniture comes with powder coat to prevent rust, it can still show up. In such case, use a fine sandpaper to remove the rust and then touch it up with an exterior-grade paint. When looking to buy outdoor furniture, choose a material that will be easier to clean and maintain. Aforementioned, without good care, your outdoor set will become faded and slowly start to fall apart. It does not have to be that way though. Follow our steps and keep your outdoor set in a perfect condition and looking brand new for many years to come. King size bed frame is not only the biggest, but is also the most popular bed frame available today. It is available in three styles: standard, California and split. Standard king size bed frame, also called eastern bed frame measures 193cm W x 203cm L. It is longer and wider than the queen frame by about 40cm, hence why it is most commonly used bed frame. California king size bed frames, also known as western king are 182cm wide and 213cm long. They are designed for those who are above normal height. There are special mattresses that can fit this type of bed frame. Split king size bed frames are versatile as they can be ‘split’ to make separate beds. They are ideal for a guest room or for master bedroom where couples want separate beds. For these bed frames, there are specially designed extra long twin mattresses. What To Consider When Buying King Size Bed Frame? Nowadays, modern bedroom furniture is made from high quality material and designs can vary from very simple to very elegant. They also vary in price to suit all budgets from the ordinary working people to the rich ones who want to have uniquely designed bedroom. Before buying a king size bed frame (any type), you must measure your bedroom to make sure there is enough space to fit the bed frame. Almost all modern bedroom furniture is specially designed to save space. For example, small bookshelf on the headboard of the bed, trundle style beds, platform beds with handy shelves and so on. This allows homeowners to use every centimeter of the available space without cluttering the room. And they can even save space which can be used to accommodate something else, for example, a writing desk or a comfortable chair for reading. Also consider the aesthetics. The contemporary canopy bed frames are a classic. Today, they are modified to suit modern consumers and are available in different types of wood and metals and different finishes that add to the modern interior décor. Leather is another popular choice among homeowners, since it keeps cool in summer and warm in winter; it is soft to touch, looks sophisticated and is extremely easy to maintain. The leather material can transform any platform bed into an elegant and trendy one. Leather king size bed frame can be a platform or a canopy bed. Frames are available in many shades (white, cream, black, dark brown, red, etc.) and are extremely durable and what’s most important, they look better with age. When you hear ‘cheap dining tables’, the first thing that comes to mind are broken, damaged dining tables. Well, you got it wrong! It doesn’t have to mean that if a dining table comes with down-to-earth price tag, that design and quality are compromised. Retailers offer many sale deals and discounts at the end of each season and during holidays. Products are still of the same quality, retailers simply want to make room for new items and collections. Prices in most cases have nothing to do with quality. With so many retailers today, it’s hard not to find affordable yet well-crafted dining tables. Especially if you shop online. Internet is the one-stop shop for everything. It is the one place where you can always find bargain deals and buy cheap dining table, high quality included. Of course you can find many other stores that offer great deals around the holidays, but the range of products online is much greater than the one in the brick-and-mortar stores. Here’s how you too can buy cheap dining table that is both affordable and aesthetically pleasing. Internet has become a hot spot for both buyers and sellers. Unlike local stores, you have more freedom to visit several furniture stores online from the comfort of your own home. You don’t have to bother yourself driving from one place to another. You will save time and money on fuel. Plus, you can compare prices and offers and choose the deals that fit your budget and preferences. If you have found a particular dining table in a magazine, but can’t find it in your local store, be sure that you will find it online, and for much less. Internet is your ultimate ‘buy cheap dining table’ option. Do not disregard the coupons you see in magazines or on online sites. Remember, coupons can easily slash 5%, 10%, 15%, 20% or even 50 % off the final price. This will certainly make a difference on your wallet and will make you achieve your goal which is to buy cheap dining table. Specialized stores for indoor and outdoor furniture set higher prices than big retail stores. That’s mostly because they focus on one thing – higher profits. Plus, big retail stores supply all kinds of products in large quantities. When you buy more pieces, the final price is lower than when you buy only one item. Therefore, avoid specialized stores and shop from retailers that sell other products beside indoor furniture.